We will promote your YouTube Videos and channel and get you the exposure that you deserve. The service that we offer are basically optimizing your videos so that it can be seen by the audience that your video is intended for. They say picture speaks a thousand words! We say video involves you that words cannot even describe! Video is a very powerful way of manifesting what you are trying to express. The benefits of video are enourmous. It creates trust and credibility. It is a very good way to show instructions, information and entertainment. Give us your videos and we will make sure that they get shown on YouTube search results. We also provide YouTube channel management. If you are a busy YouTuber who don't have anymore time to even upload your videos. You can leave it to us so that you can concentrate on just creating and thinking of the next story that you want to tell. The social media world is a rich one that involves a lot of interaction in different ways. We all have different social media accounts and channels that appeal to us over the competition for one reason or another, so it means that we also have the power to enjoy them in all sorts of different way. Whether we like it or not, social media is changing the way that we live our lives, and it means that we have to be ready to change with every part of it, too, so that we are engaging with the world in a modern way. YouTube is one on those popular social media accounts that is popular all over the world. Started in February of 2005 by three employees that had previously worked at PayPal, YouTube started out as a website that was entirely dedicated to sharing videos back and forth between those who visited the website to watch videos of all sorts of things. The idea was originally created from these three coworkers as a way to share videos back and forth of popular events like media and music videos, but also to share private videos and personal events with each other as friends and family. The first upload ever to YouTube was from one of the creators of his time at the zoo, and even today this video can still be seen. Before long, YouTube was growing in popularity and it took off into the races in terms of competition and meeting a need that had previously been ignored by other platforms. Now one of the most popular websites in the world, it has linked up with Google as a parent company, and the website has millions of users that are uploading billions of videos everyday. Everyone is surprised by just how fast it has grown in the years since its creation and growth. After all, it is only 12 years old, and has held its top place in the world of social media for many years, even with the competition that arrived on the market after the fact. With minimal changes since its creation, anyone in the world of business would consider YouTube a huge success, and it still continues to grow and develop even now, and there is no sign of it stopping any time soon. It was only a matter of time until the commercial giants found a way to make some money out of YouTube, and that is exactly what has been happening over the past several years. It is something that is still developing, but it is moving in the right direction for businesses. 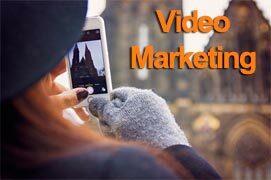 Firstly, there's the methods that businesses can post promotional videos that will be shared and viewed around the globe. Much like commercials, they are designed to be short and sweet, and present a great way to put links in that will directly connect to the product or service that you are trying to sell. The other, more popular way to use YouTube for business is by advertising your service or product on someone else's video. It's understood that this other video is going to be more powerful and resonate well with the viewers that are watching it. The ad can be controlled by the business in terms of when, how, and how long it is viewed. It is a PPC link (pay per click) that will allow the user to open the ad in a window and learn about it. As you can imagine, it's a powerful way to do business. The ad will also be matched with the right videos using analytics to determine how to match up target audiences in the correct way so that everyone gets the right positive results from it. There is also a way that you can earn money from YouTube, several actually. The first way is to use YouTube to advertise your own business, similar to the idea of commercials. It's important that you see YouTube just as you would any other social media platform, and create a video to link back to your product or service so that you can get all of the benefits as well. You can try to be product tester or participate and lead in customer tutorials that will enable people to be able to use you as the voice of reason and trust all that you have to say. This is a great idea, but you also have to make sure that you are using it correctly. You can't start getting money for views on your videos until you get over a million views on your video to begin with. This is only a rough estimate if you are using adsense and depending on your channels topic. Just like google, YouTube created rules and guidelines to keep their platform from unscrupulous activities. This is, of course, to deter the scams from getting all of the money that they want. There are so many ways that you can explore this option. As you already will have guessed, YouTube users don't just upload the raw footage that they took and shove it up online, they use video editing software to make sure their content is professional quality, leading many to wonder what systems they use. There are a lot of easy to use software programs out there, the biggest one being Pinnacle 2.0. This tends to be the most popular one for the really serious professionals that are looking to use video editing software to make a great impression on their audiences. Like a lot of the bigger options, it is designed with YouTube users in mind so that it'll work hand in hand with their technologies and develop it properly. From its start, YouTube was all about creating and sharing videos, and it still does this with only a minimal amount of changes in the workings of it, which is great to see. Used as a business tool, it can do a lot of good in the commercial world out there that is looking to create the next big thing and get it out for the world to see. YouTube offers a great audience for it.